The endless days of cleaning are behind you because you can now outsource your housework to a professional cleaning crew. Who's going to find that crew, you ask? The answer is That’s Clean Maids. We are a cleaning referral agency you can rely on to be here for you and make it happen! 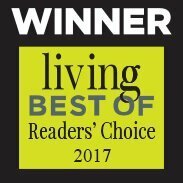 You will be happy, satisfied and fulfilled and your home will be absolutely spotless thanks to the leading cleaning pros we'll dispatch to your home! Hockley TX is our home and our homes are our sanctuaries. We want the best for our community which is why we want to help our neighbors be happy and satisfied with their home life. We haven’t forgotten the values that truly matter to you and to us. Thus, we work hard to provide you with an excellent service and customer experience that embody our core business principles: dedication, honesty and your happiness. Book the best Houston TX maid service with the help of That's Clean Maids and see what sets us apart from the rest! A spotless house is an unattainable achievement for many of us! But keeping your home spotless is a breeze with the right cleaning package. Help yourselves to flat rates, charging by the hour, zero contracts – our goal is to move Heaven and Earth to make you happy! Our focus is YOU. Customize your cleaning so that it includes all the features you want and your favorite new cleaners will do the rest! Hockley TX is a beautiful town, boasting the inspiring Zube Park and the authentic Oil Ranch! But wait. Does cleaning keep getting in the way, forcing you to stay inside? That’s Clean Maids is here to give you a helping hand! 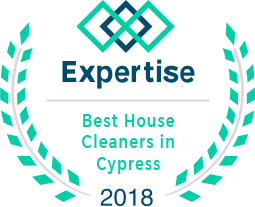 The cleaners we team up with provide their services elsewhere, too: Spring house cleaning services, Tomball house cleaning services, The Woodlands house cleaning services, Katy house cleaning services, Magnolia house cleaning services, etc. If your to-do lists keep getting longer and longer and you keep thinking “there’s no time!”, you definitely need a helping hand. With our help, you’ll start saving time immediately because we offer a simple booking system. We also charge flat rates, but we won't charge you until your cleaners have finished the job to your satisfaction. From regular and occasional cleanings to move in/out services, That’s Clean Maids has got your back and we'll make sure to connect you with the absolute best in the cleaning business! Do you also need basic cleaning, deep cleaning, tile or grout cleaning? Let them take care of that as well! If you have any special cleaning requests, we and the cleaners we work with are here to accommodate them. Their cleaning services can be tailored to your specific needs. Your experienced cleaners are at your disposal Mon-Sat, 8 a.m. - 7 p.m. They are punctual, professional, meticulous and fully equipped. We can even send the same cleaning crew every time. 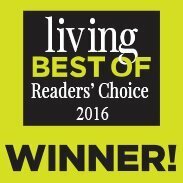 The cleaning experts we work are highly trained and insured, giving you peace of mind. We make sure the cleaners we match you with have passed a rigorous vetting process, background and reference checks, and phone and in-person interviews. The evaluation of the cleaners doesn’t end there because they’re rated after every cleaning session based on your own feedback. If you believe they’ve missed a spot, they’ll be back to do it again, without any additional charges! We value the trust you put in us, so we offer up to 40% discounts for recurring services and 10% for second bookings! We’ll strive to resolve any additional concerns within 48 hours. We can help you get a spotless house quickly and effortlessly. Each and every cleaner we dispatch to your home has gone through a strict vetting process and background checks. Let us give you your free time back by matching you with the leading cleaning pros. Paying for services has never been easier because we charge only after the work has been completed. 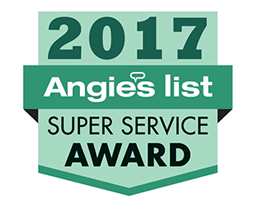 You can help us be even better by giving us your feedback and evaluating your cleaners. Happy and satisfied clients are our #1 goal. Contact us easily via email or phone. We send out automated reminders to our clients to help them keep up with their schedules.